Acacia is a hardwood, similar to teak, which is fairly resistant to environmental conditions and weathering, and is therefore very popular for garden and balcony furniture. It tends to be open-pored in structure and needs to be regularly treated with oil in order to withstand the wind and weather. Acacia wood furniture by Ploß® is manufactured in Vietnam by machine, resulting in very accurate joints between the individual elements. 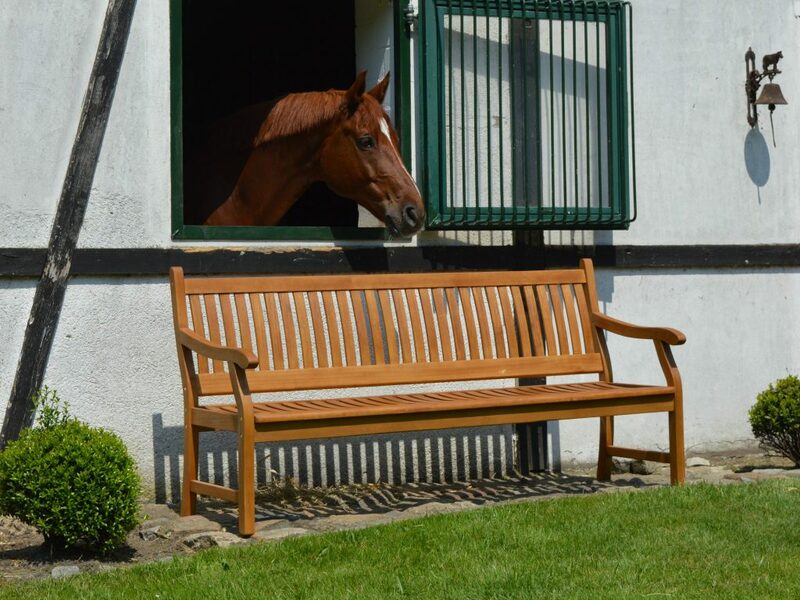 Garden furniture made by Ploß® out of acacia wood comes in a wide range of different finishes: shiny, dully oiled or else attractively brushed. Every fan of acacia will find something to suit their taste. Furniture made of acacia wood combines a range of favourable properties that make it extremely suitable for use in the garden. Furniture that is left outdoors needs to fulfil a variety of demands. On the one hand, it needs to withstand different weather conditions, such a rain, cold or intense sunlight as well as possible; while on the other hand it should blend appealingly into one’s own garden. If you are in search of furniture that looks natural and at the same time classy, as a way of rounding off the image of your garden, Ploß® furniture made of acacia wood is just the thing for you. As with many other types of wood, it is important to make sure that acacia wood is cultivated under sustainable conditions. When timber is imported, one should make sure that it is certified to come from sustainably managed forests. This means that the timber is not taken from virgin forests nor from forestry operations that deprive other plants of their natural habitat. 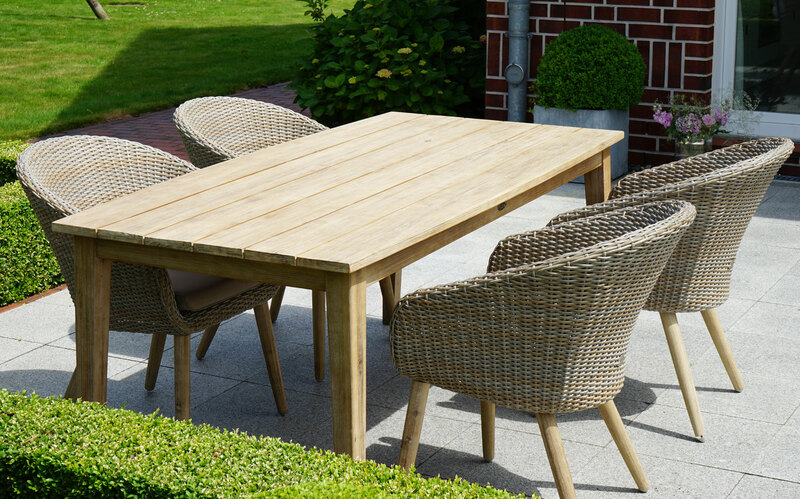 This way, when you buy your garden furniture you can rest assured that it was made exclusively using timber from certified sustainably cultivated sources. Acacia furniture by Ploß® is certified accordingly, so that you need have no reservations about buying it. Acacia is characterised by a high degree of hardness. 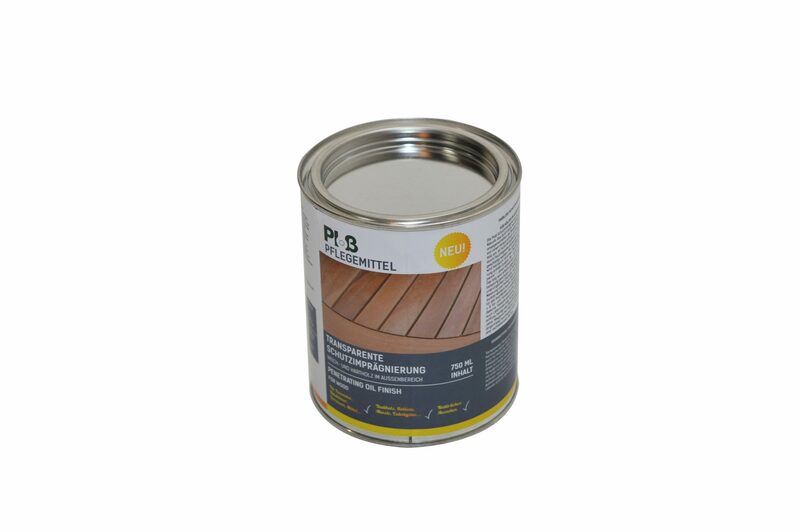 This makes it the perfect starting material for garden furniture. The high durability and robustness of the wood makes it the ideal material for furniture that is to withstand all manner of weather conditions. Acacia wood is by nature relatively resistant to fungi and insects; however it does need to be oiled once a year. By giving it this additional care, you can definitely enhance the positive properties of long-lasting acacia wood and ensure that it still looks excellent after years of use. The fine grain of the wood makes your furniture particularly elegant and has contributed to the increasing popularity of acacia. These excellent properties mean that acacia wood is increasingly used in manufacturing furniture too. 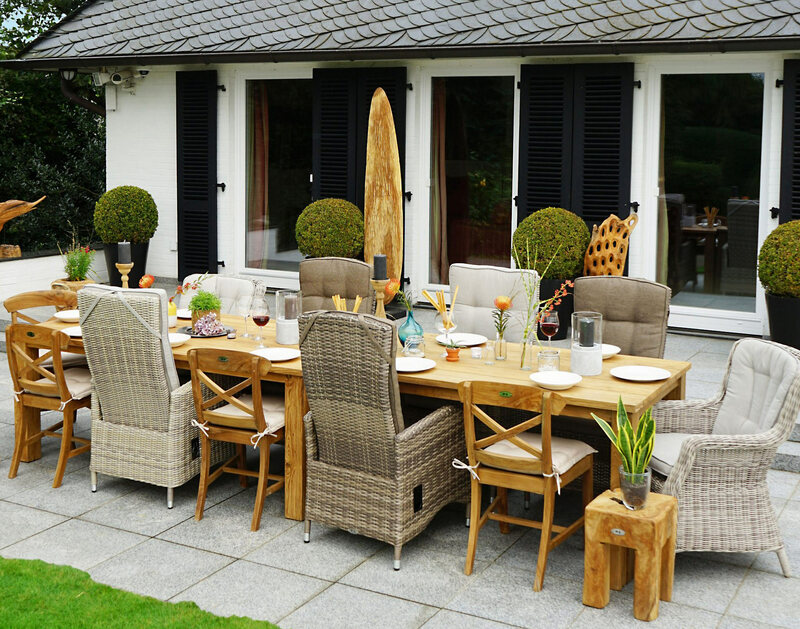 If you wish to buy garden furniture made of acacia wood, Ploß® offers you a wide choice of furniture with many different types of finish. As with all natural timber, its unique grain means that you will be purchasing your very own, unique product. Knotholes are comparatively rare, but they can sometimes occur, adding to the appeal of an item of furniture. In view of its sturdiness, acacia wood is used particularly often when making tables and chairs. Although acacia is robust, it should nevertheless be cared for so that it maintains it elegant look for as long as possible. Strong cleansing products should not be used on it however, since they damage the wood. All you need is a soft, damp cloth. When caring for wood, the old rule also applies: less is more. Oil the wood from time to time, and if necessary impregnate it. In doing so, be sure to use products that are specifically suitable for acacia wood. During the winter months and in bad weather, it is advisable to place the furniture under cover, because even though it is waterproof, you can extend its life by protecting it against extreme weather conditions. Large fluctuations in the ambient temperature should also be avoided since this causes the wood to expand to quickly, which may lead to cracking.